#1 tour out of 231 tours in Chicago on TripAdvisor! Our 2019 Tour Schedule is up and bookable, with new tours added for this season — including a BOAT/WALKING tour combo! If you’re on a mobile device, these images might take a few moments to load — be patient, they’re amazing! Because we go inside at least a few beautiful, fascinating buildings on EVERY TOUR! Our tours at a glance: What can you expect? My dream job -- thank you to Newsy for profiling me! Inside Chicago Walking Tours is a top walking tour company founded by an experienced tour guide and product development director for a major sightseeing company in Chicago. Given the freedom to research and construct her own tours, she used her experience as a teacher, writer, improv comedian, and tour guide to create tours that tell the story of Chicago in an engaging, educational, and always entertaining way. 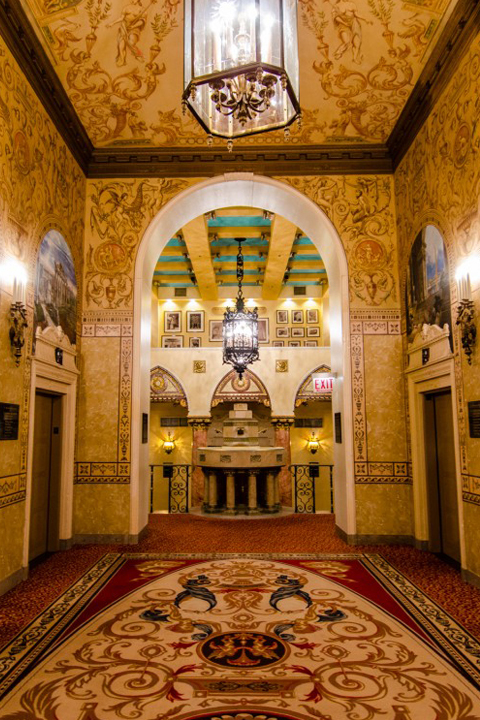 Inside Chicago Walking Tours combines architecture, history, and storytelling in one powerful experience of the city that no other tour company can match. What makes us different? It's our ability to find the hidden and fascinating details of buildings and areas that people pass through or pass by every day. It's our emphasis on experiencing architecture as an art, appreciating both the exteriors and interiors of Chicago's gorgeous buildings. It's our passion for showing visitors, whether they be out-of-towners or Chicagoans, a side of Chicago that they haven't noticed before: the second side of the Second City. In addition to our regular public tour offerings, we offer private tours all season long. Tours are priced on a flat-rate basis depending mainly on the size of the group. Contact us here to start planning!